Tasty bacon flavored chewable dog arthritis tablets that dogs love. Dr. Carol’s Hip & Joint Natural Dog Arthritis Supplement is an Advanced Flexibility Formula specially developed by holistic veterinarian Dr. Carol Osborne, DVM., to provide a unique, synergistic combination of all-natural, organic, USA Made, human pharmaceutical grade nutrients designed to naturally relieve dog arthritis pain, enhance the rebuilding of joints and connective tissue to help dogs remain active, pain free and mobile. WHAT’S IN OUR DOG ARTHRITIS SUPPLEMENTS? 60 Count Bottle – These natural nutrients support joint function and connective tissue health and are formulated as a tasty, chewable bacon flavored tablet for dogs given according to body weight in the morning and/or evening. Although canine arthritis is more common in large dogs, small dogs and cats also suffer with arthritis pain. Dog Arthritis is a painful, progressive condition that destroys the dog’s cartilage and connective tissue, which normally act as a cushion and absorb shock between canine bones and joints. Medical management, weight control and moderate exercise allow many arthritis canines to live a relatively pain free life. Medical management of dog arthritis traditionally consisted of anti-inflammatory drugs and steroids, which are effective to relieve pain but carry serious side effects. New, natural pet arthritis remedies for dogs have proven to offer similar benefits without the risks. Moderate exercise helps arthritic dogs to maintain joint mobility and muscle strength for joint support. Weight control helps reduce the burden of excess soft tissue the dog’s arthritic joints must support. Dr. Carol’s Dog arthritis pain tip: RIMADYL kills dogs. Dr. Carol is available for pet arthritis consultation to help you and your pets enjoy the benefits of an active, mobile, healthy life. Because age, breed, diet, lifestyle, injury and stress can affect the health and function of your dogs arthritis and joints in different ways, Dr. Carol’s pet arthritis products are specifically designed to meet the various needs of your pet throughout his or her life stages. Correct and consistent administration is essential for optimum results. Dogs love the bacon flavored taste, you will love the ease and you’ll both enjoy the great results! Dr. Carol’s Hip and Joint Natural Dog Arthritis Supplement offers dogs with severe, advanced arthritis pain, the best results when given along with Dr. Carol’s PAAWS Dog Vitamins or VitaLife Dog Supplements. 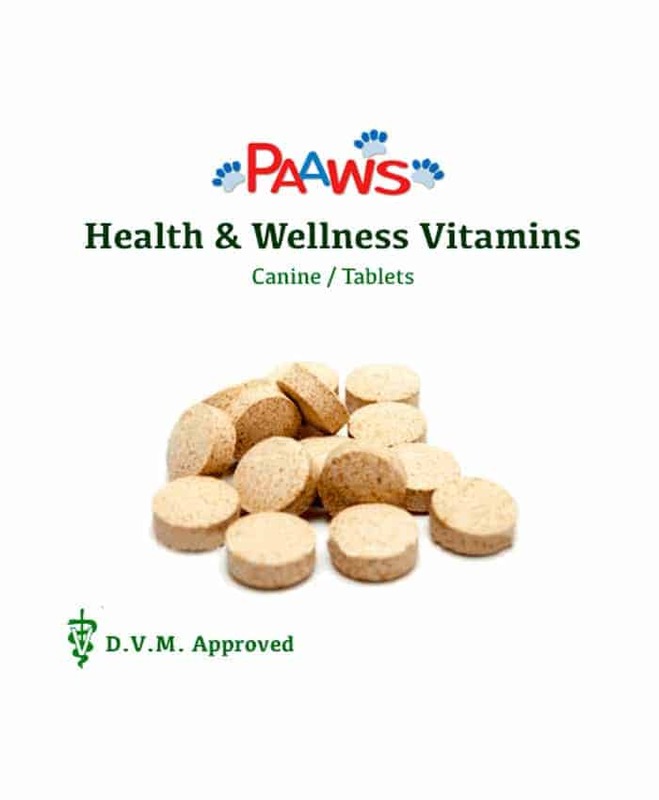 Used together, PAAWS and/or VitaLife along with Hip and Joint Natural Dog Arthritis Supplement will boost canine mobility by 30 % above and beyond what PAAWS Dog Vitamins and/or VitaLife Dog Supplements offer alone. This combination is ideal and allows pets to achieve maximum natural relief from advanced dog arthritis pain. For Dogs taking Dr. Carol’s PAAWS or VitaLife Dr. Carol’s Hip and Joint Natural Dog Arthritis Supplement: the daily dosage of the Hip and Joint may be decreased by half. Please be sure your dog takes all of his /her Hip and Joint Natural Arthritis Supplement and PAAWS Dog Vitamins or VitaLife Dog Supplements as directed to ensure maximum benefits, such as improved energy levels, pain free mobility and vitality. It is important to your pet’s well being that YOU REMEMBER: his/her Hip and Joint Arthritis Supplement and PAAWS or VitaLife EACH DAY! I have a 10.5yr. old Siberian Husky that was struck by a vehicle a number of years ago, while he walked away there was some injury to his hind leg. Since starting him on these supplements in 2016 the difference has been night and day. He has an average range of motion and flexibility, which is far above what it should be with his injuries. Still, prances around like he is a puppy and we have not seen any deterioration of those joints in the past 1.5 years. I would strongly recommend these supplements to any aging canine for ease of comfort in their golden years.